Do I Need an Accountant This Year? 5 Signs the Answer Is Heck, Yes! “Do I need an accountant?” might be a question weighing on you as you prepare to file your taxes this year: Even if you typically whiz through TurboTax or some other online software package, this year’s different. In fact, it’s shaping up to be one of the most confusing since the presidency of Franklin D. Roosevelt in the 1930s. Why? Because of the recently passed Tax Cuts and Jobs Acts of 2017, which promises the biggest overhaul to the tax code in decades. Granted, it doesn’t go into effect until next year, but that also means that this year’s the last one to take advantage of certain old-school IRS rules before they’re gone. And who knows these loopholes better than an accountant? So, is an accountant worth the money, given yourcircumstances? Basically, if you’re a footloose and fancy-free singleton W-2 wage earner, then you can probably do your own taxes. But if you made certain major life changes in 2017, then you’re a prime candidate to get some professional help. Here are five instances where you might consider hiring an accountant to save you a whole heap of headaches. Plus, we explain how those rules will change when you file next year. If you sold property in 2017, congrats! There are tons of write-offs currently available to you that a tax pro can make sure you’re taking advantage of. 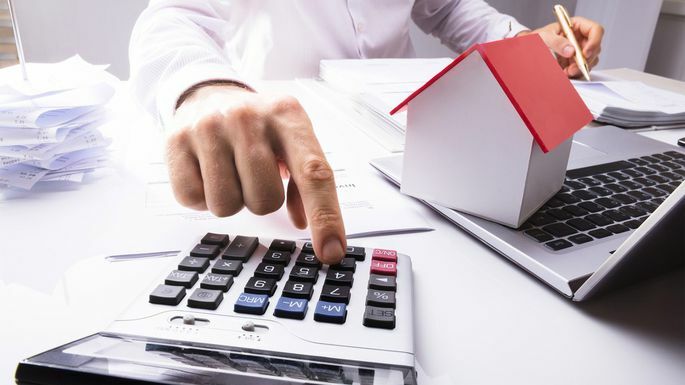 For example, you can deduct any costs you racked up selling your home, including legal fees, escrowfees, home inspection fees, the cost of title insurance, and your real estate agent’s commission, says Joshua Zimmelman, president of Westwood Tax & Consulting in Rockville Centre, NY. And here’s another factor to sit and discuss with an accountant: capital gains, which could mean you owe taxes on the profits from your sale. Under current tax law, homeowners can exclude up to $250,000 (single) or $500,000 (married) of the profits from a sale, but you’ll have to have lived in the home for at least two of the past five years. While capital gains laws remain the same for 2018, they could get tweaked later, and an accountant would keep abreast of that. “This complicated deduction is for sure something I would certainly contact an accountant about,” says Ralph DiBugnara, vice president at Residential Home Funding. By definition, you need to use a portion of your home exclusively for business to claim the deduction. But there are a few different ways you can qualify (you run a small business from your home) or be disqualified (your office doubles as a guest room). If you need an extra push, 2017 is the last year certain employees (namely W-2 workers who telecommute) can take a home office deduction. What changes next tax season: If you’re self-employed with no other office to go to, this deduction remains unchanged in 2018. But if you’re an employee with another office you can work from, the deduction disappears. Did you change your address in 2017? Then you may be able to deduct a portion of your moving expenses if it was due to work (and your employer didn’t pay for any it). Deductible expenses include travel costs, lodging, moving insurance, and fees for truck rental, professional movers, or storage facilities, says Zimmelman. But not all moves get an automatic deduction, so if you’re unsure, consult with a tax professional. For starters, your move must have been due to a new job or change in business location that’s at least 50 miles farther from your former home than your old job location. And here’s yet another reason to hire an accountant this year: You can deduct the cost of tax preparation help from your 2017 taxes, but that deduction goes away in 2018. So now’s your chance! More often than not, it’s an investment that more than pays for itself.